Almost 10,000 miles separate Yekaterinburg and their school in Montevideo but for a group of Uruguayan children, Jose Gimenez's 89th-minute winner felt within touching distance. As they bolted out of the classroom door and sprawled around the playground outside, some leapt, others soared with their arms outstretched, and the rest just ran. In physical terms, teams and players at this World Cup have never been further away or more hidden from their fans. And yet, the fans still have a huge influence on football's global showpiece. In the streets of the Iranian capital Tehran on Friday, a traffic warden was being scooped up by cheering supporters, hoisted onto a pair of shoulders after his country had just beaten Morocco for their first World Cup win in 20 years. Before kick-off, one fan held a banner oustide the Saint Petersburg Stadium demanding Iran's women be allowed to support inside, while just over 2,000 miles away in the country's capital, they were blowing into vuvuzelas, perched on the edge of their cars, as fireworks filled the sky. "I got goosebumps," Iran midfielder Alireza Jahanbakhsh said after the victory, after seeing the reaction back home. "We are not in Iran but I have spoken with my family and friends and they say people are going crazy in the streets and that's all that matters. "With the things happening all around the world right now, football is one of the biggest things that can make people happy." All the leading contenders in Russia are billeted in carefully chosen locations, screened by trees, walls or bolted gates. 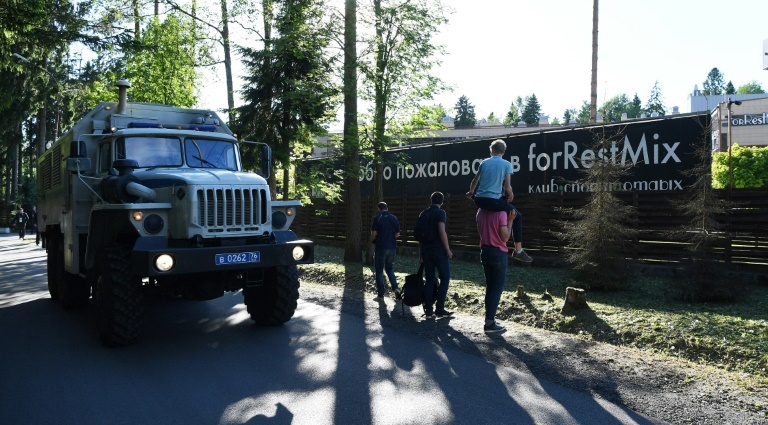 Germany are staying behind a thick concrete wall in the midst of forest in Vatuinki, 45 minutes away from Moscow, Brazil are in a luxury hotel complex in the Black Sea resort of Sochi, 20 minutes out of the city, and England are based in Repino, an hour's drive from Saint Petersburg. Midfielder Toni Kroos batted away such concerns. "A sports complex fits very well because we are here to play sport," Kroos said laconically. "Our base is totally okay. Perhaps it just heightens the anticipation of going on holiday afterwards." Open training sessions were well-received by local children but meticulously choreographed, with those attending needing to present tickets, empty their bags and pass through scanners. 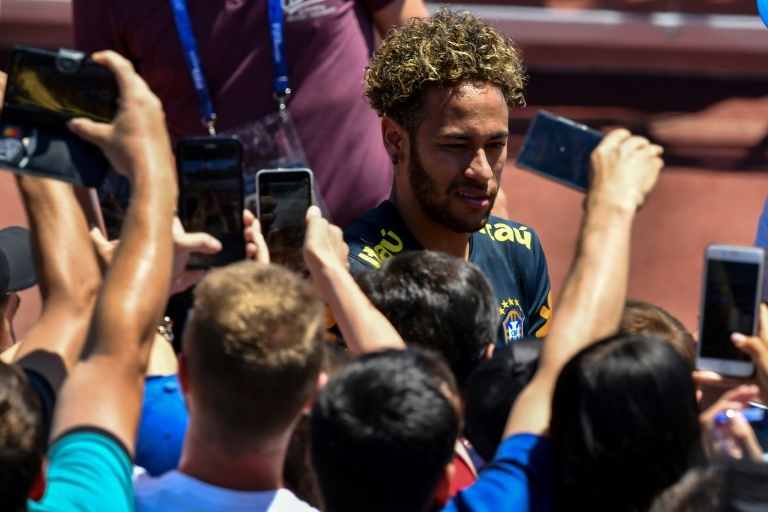 When Neymar, Brazil's star striker, took a moment to sign autographs and pose for photos, he was quickly hurried away by an anxious press officer. Keeping players and fans apart in football is nothing new. Security in Russia is tighter than at any previous tournament and spontaneity so squeezed that any hint of it is greeted with a combination of surprise and celebration. 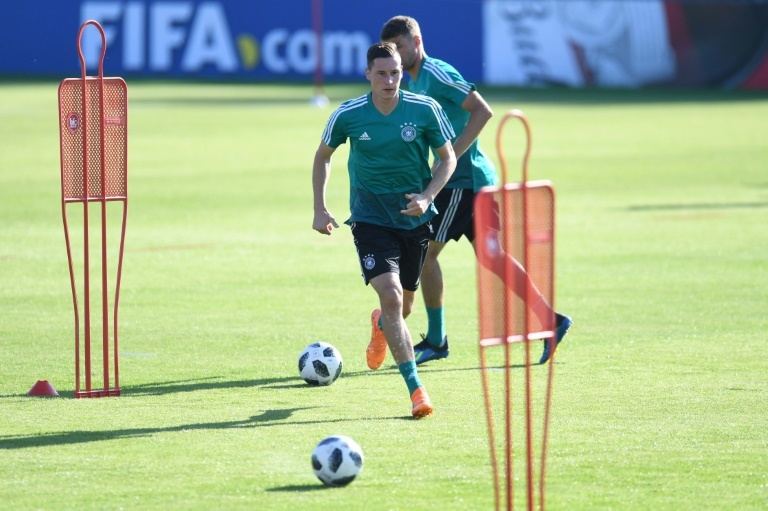 England's Kieran Trippier and Jesse Lingard tossed a few balls down the bowling lanes at the hotel where journalists covering the team are based, and within seconds the pictures and videos had been posted online. It is perhaps why the ecstasy that spilled out in Tehran and Montevideo is so cherished, with World Cups owning a unique power to bring people together and make them feel a more tangible part of the story. Before their hard-earned draw with Argentina on Saturday, Iceland supporters gathered in Moscow's Zaryadye Park to perform the Viking Clap, a ritual now so established it has its own emoji. Iceland coach Heimir Hallgrimsson still maintains the habit of meeting supporters in a bar before games, a throwback to an era before fans, miles away, were left connecting only with each other. "There's this unusual closeness and trust between Iceland's players and coaches and the fans that makes it possible to go to the pub and visit them," Hallgrimsson said. "It just shows the unity with the fans and the respect that we get from them. It's more than a football match with the Iceland fans, you can see it in their eyes, it means a little bit more for them."